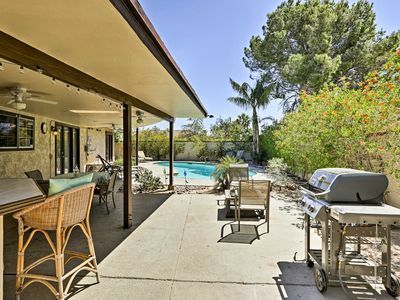 Gorgeous Mesquite Country Club Condo at Great Rate! 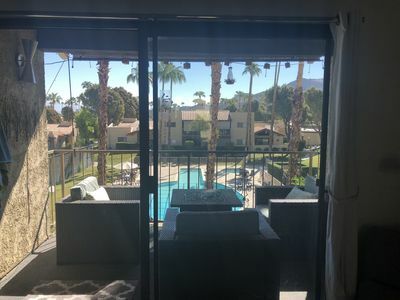 This is one of the more desirable 2 bedroom, 2 bath Mesquite Country Club Condos, located downstairs in Phase 4, only steps away from two heated pools and spas. Beautifully appointed with newer furniture, newer appliances, newer carpet, two large bedrooms, including a master suite with California King-size bed, second bedroom with queen bed plus a king-size sofa bed in the living room. 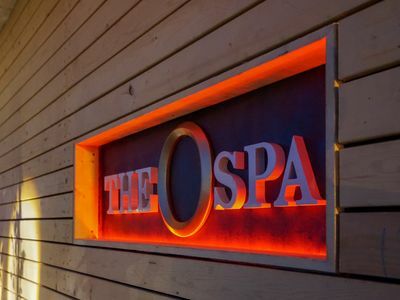 Two private patios with table for six and gas barbecue. 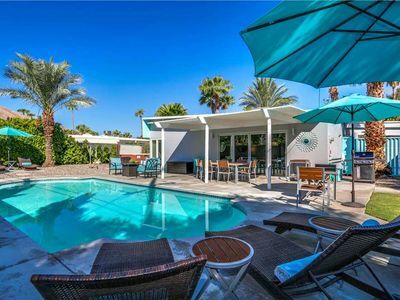 Mesquite Country Club is a beautifully landscaped, gated community near airport and downtown Palm Springs, with a large club house across the street, boasting a challenging 18 hole golf course (verify current status of course), tennis courts, pools, spas, bike/walking paths and more. 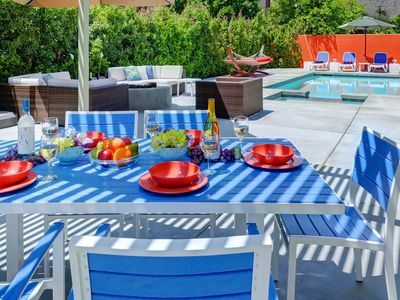 All pools have lounge chairs and tables/chairs. 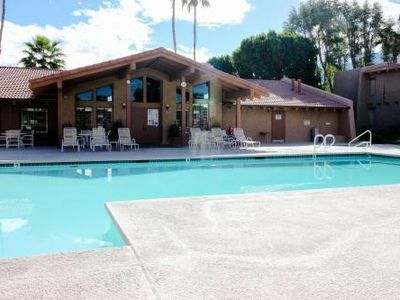 Inside features include computer with high speed internet access (Wifi), two flat screen TV's, DVD, CD/Stereo, fully equipped kitchen includes all small appliances, microwave, dishwasher, cookware, dishes, and utensils. Fully stocked with linens, bedding and hair dryer. 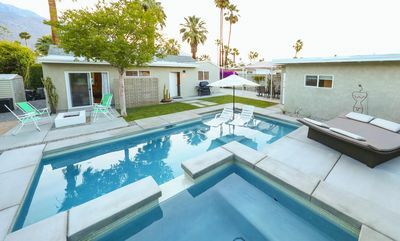 Air Conditioning, Full-sized Washer and Dryer, Large Patio with Gas BBQ and Table that seats 6. This is a NO SMOKING and NO PET UNIT!! Alexander in the Sun - Read The Reviews! 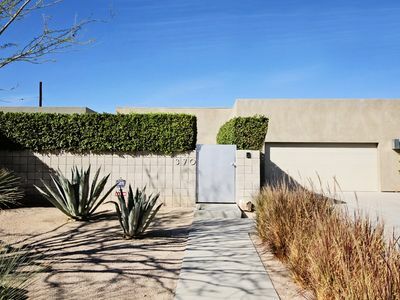 This four bedroom home is an ideal getaway for friends and family alike. 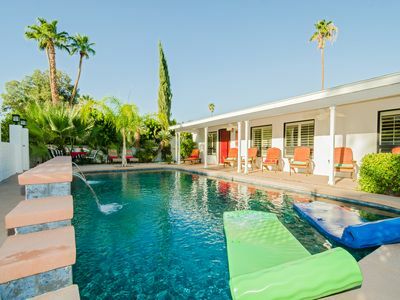 Your Mid-Century Oasis in Palm Springs Awaits! 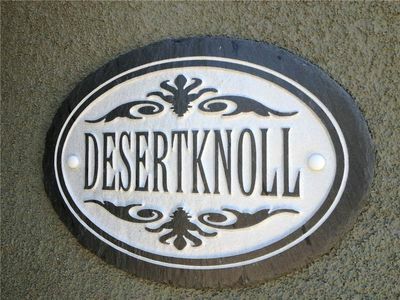 ★ Desert Luxury Oasis ★ Pool | Spa | Close to Palm Springs! 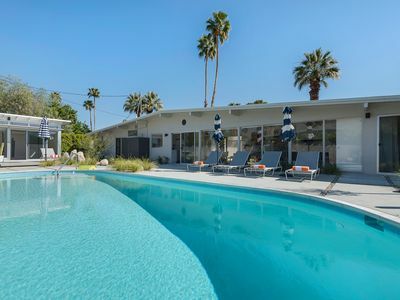 Movie Colony Home w/ Casita, Pool & Spa! 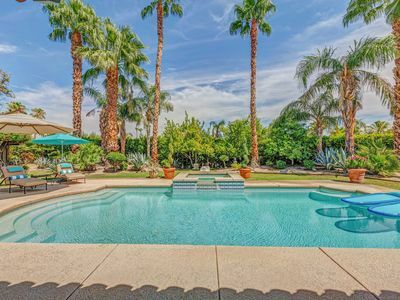 Large House With Pool, Spa, Private Yard, Open Floor Plan And 9 Beds! 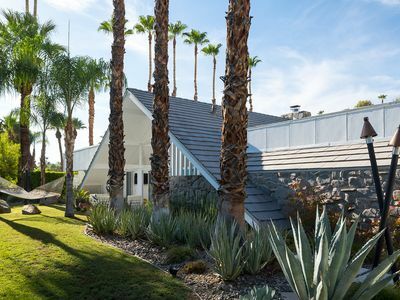 Charmed Mid-Century Home Bringing THE Palm Springs Life! 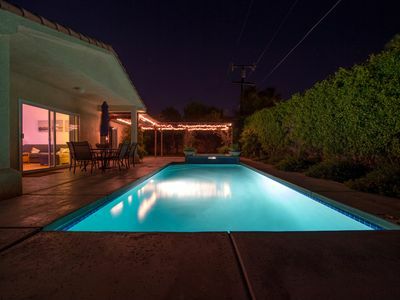 Comfortable Palm Springs Home w/Pool & Mtn. Views!